“Did you bring a bandana?” My friend’s question confused me. Was there an unspoken dress code for OppiKoppi? As I was soon to discover, the bandana is an essential face accessory to successfully survive the annual festival with the motto, “in dust we trust”. 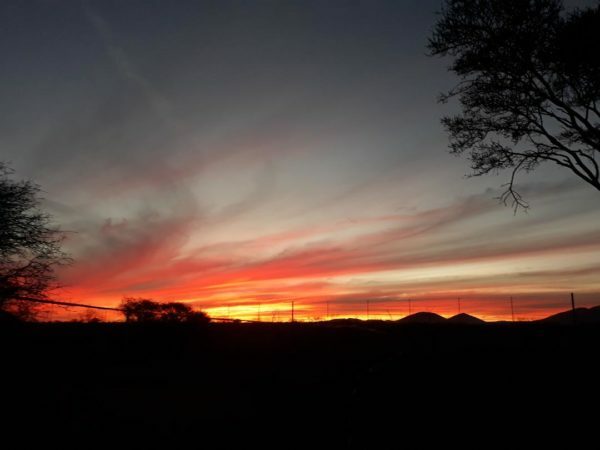 Held on August 9 – 11, the festival attracted around 20 000 campers to a game farm in Northam, Limpopo, who settled in for a weekend of music, dust and madness. I was pleasantly surprised by the changing demographics. 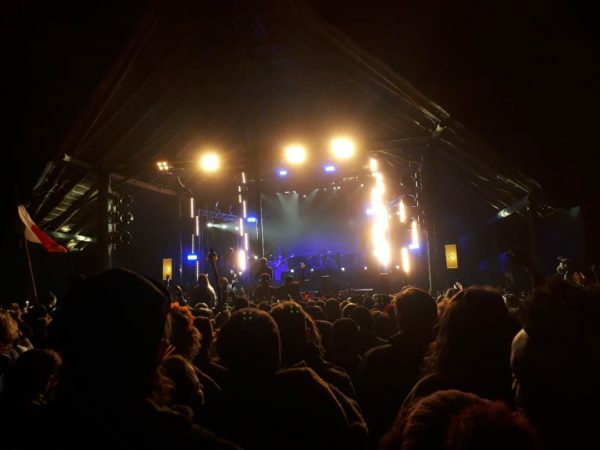 Finding your way through the maze of tents that comprise the general camping grounds known as ‘Mordor’, the sounds of a diverse range of music genres jump at you as you move from tent to tent: hip hop, heavy metal, kwaito, pop. This reflected the more than 100 acts which catered to every nuanced music preference – from Afrikaans rock to electronic dance to jazz and rap. 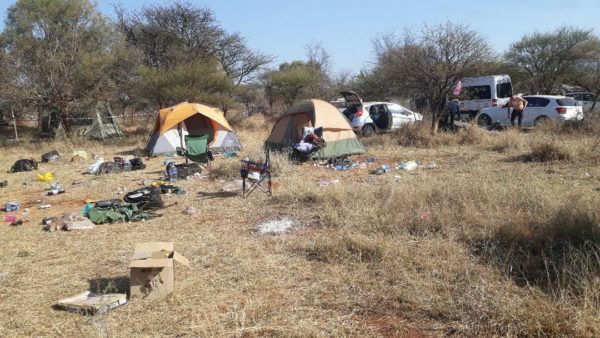 Surviving OppiKoppi takes preparation and a willingness to tough it out. The camp sites are devoid of lights, running water, toilets and everything else that makes life comfortable. Some showers and toilets can be found near the stage area, but even then, their state leaves much to be desired. We stocked up on firelighters and wood which we used for all our cooking. Making it out on the other side of the weekend requires a few key essentials: closed shoes (thorns and dust), wet wipes, light clothes for the hot days, warm clothes and many blankets for the very cold nights, a lock for your tent (criminal elements attend festivals too, as two friends whose phones were stolen will attest), a reliable source of light for the very dark evenings and, very importantly, your trusted friends. You will make more friends along the way – such as the guy standing in the queue with a Teletubby hat – but you will want your trusted tribe to share the experience with and to keep the buddy system in place when taking on the ‘koppi. Some campers are not easily fazed, and came armed with only a tent and the clothes on their backs. Others set up like professionals. One camp site even had an entire couch basking in the shade of their tent – a couch that ended up so filthy, it should have gone straight to a dumping site at the end of the weekend. At the end of the three days I had experienced some amazing moments. I had lost myself to fantastic music, bought a hat I hope to use again, had fights with my friends but returned home loving them more, and developed a cold and black lungs from all the dust. But in the end, I am so grateful that I, too, have had my OppiKoppi experience and stories to tell. I came back with memories of the brightest starlit skies and glorious sunsets that were a perfect foil for the camping frustrations.